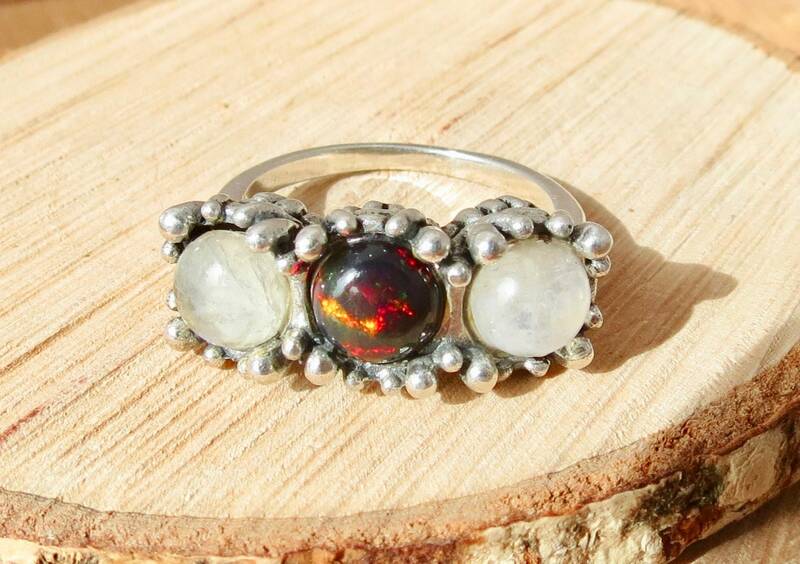 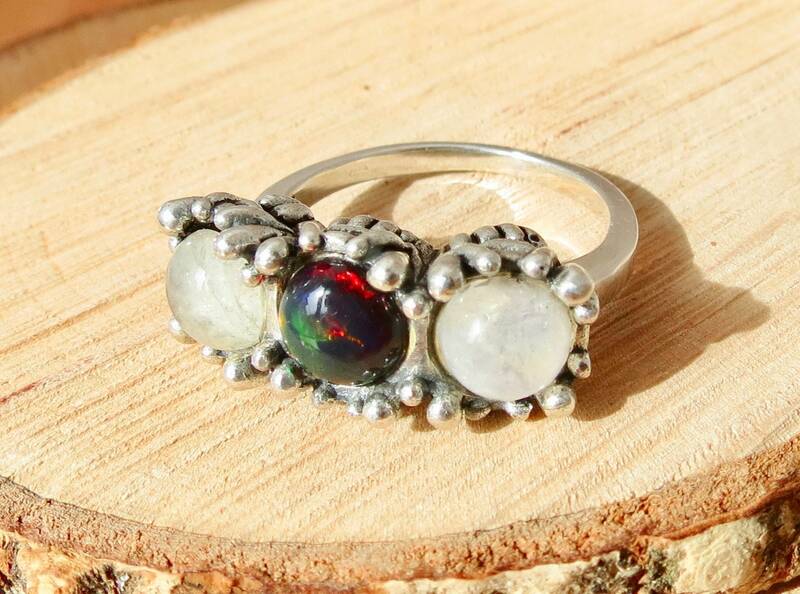 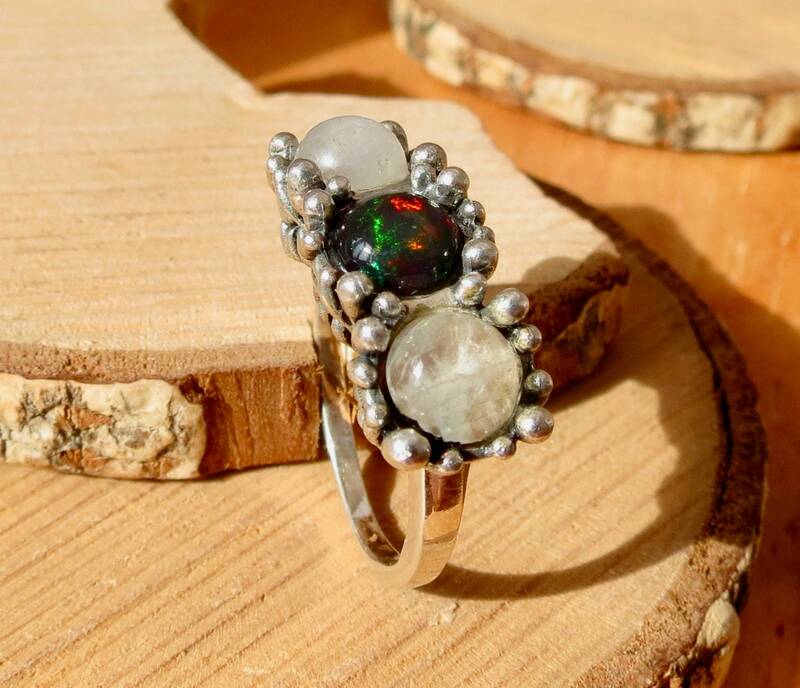 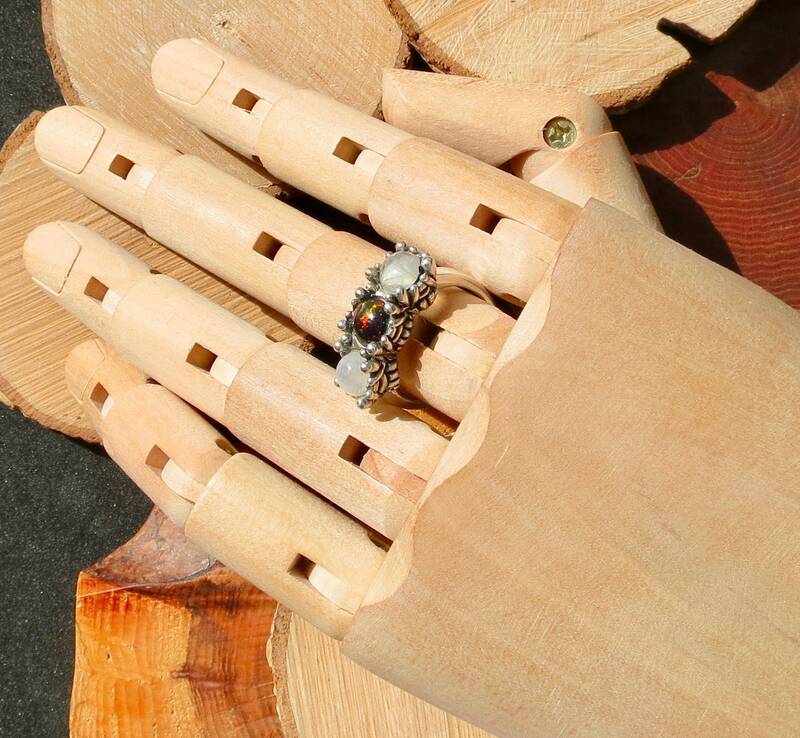 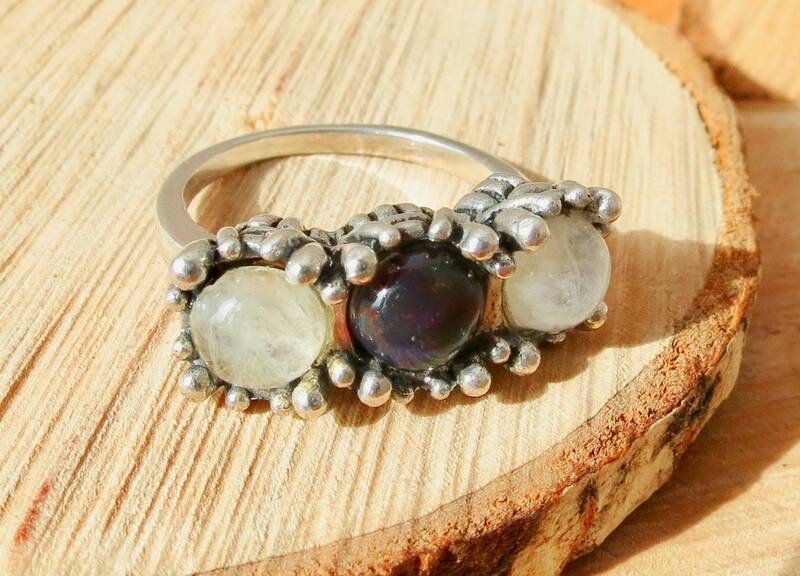 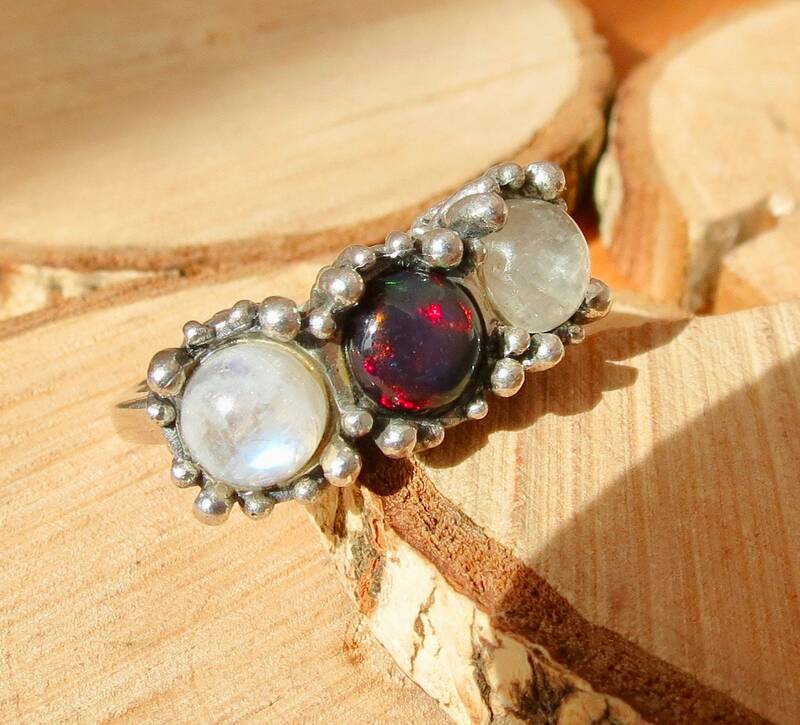 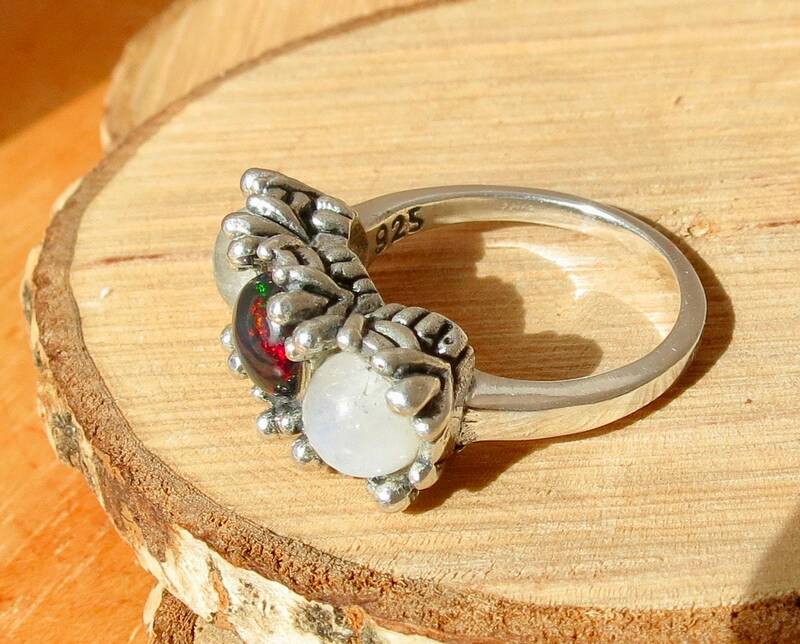 A silver ring with a trilogy cabochon of a synthetic black opal and white accents of quartz crystal. 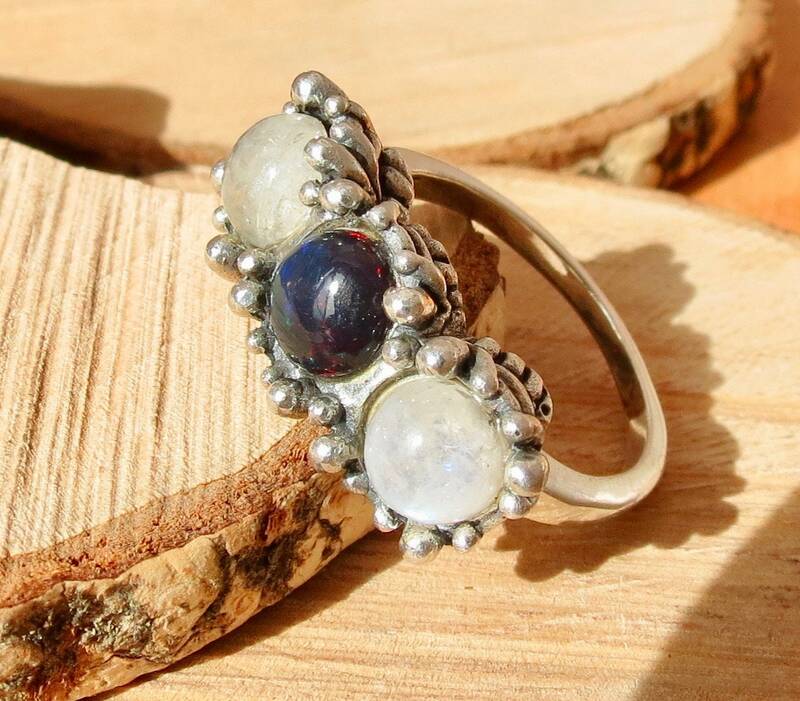 The lab created central stone gives off multi-colours when in direct sunlight. 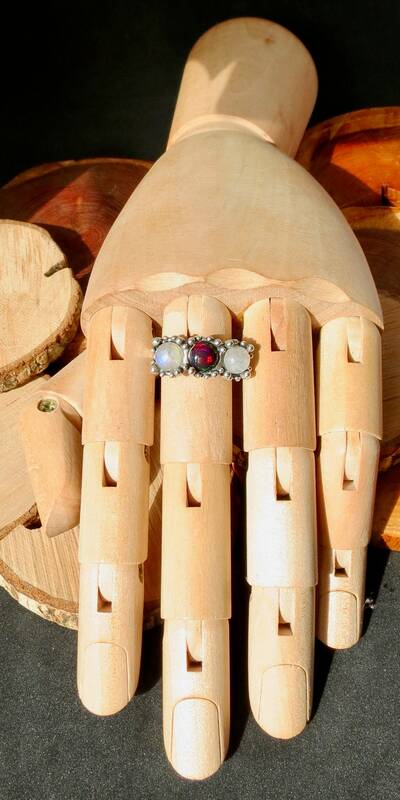 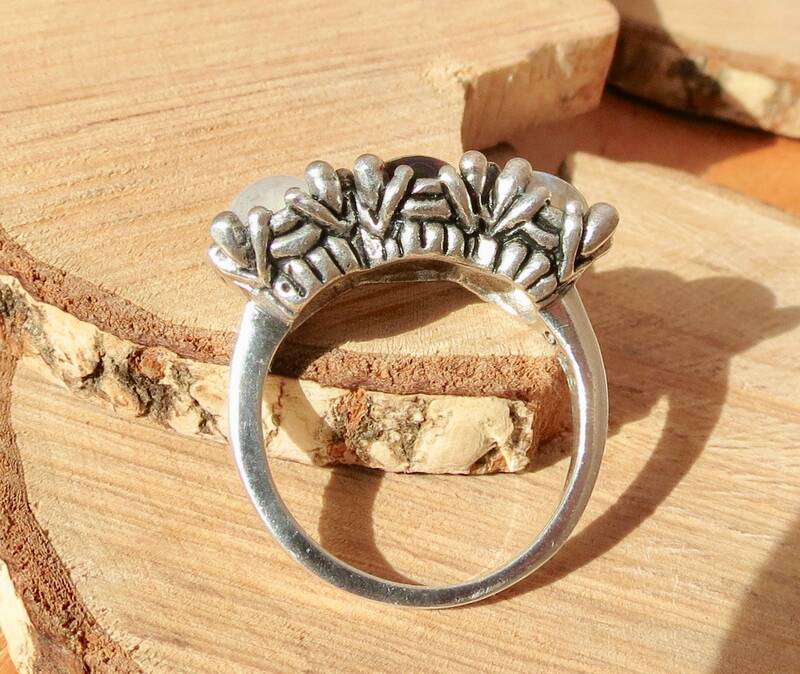 The three cabochons are set is a basket style mount, with a plain band.